The un-official kick-off to spring, the 2019 Minneapolis Home + Garden Show will return for two full weekends Friday, Feb. 22 – Sunday, Feb. 24 and Friday, March 1 – Sunday, March 3, 2019 at the Minneapolis Convention Center. The un-official kick-off to spring, the 2019 Minneapolis Home + Garden Show will return for two full weekends Friday, Feb. 22 – Sunday, Feb. 24 and Friday, March 1 – Sunday, March 3, 2019 at the Minneapolis Convention Center (1301 Second Ave. So.). Celebrity speakers at the event include: Clint Harp – For five seasons Clint could be found regularly on HGTV’s “Fixer Upper” as the dumpster diving, reclaimed wood loving carpenter and furniture artisan. Now you can find the Harps and their team on their own show “Wood Work” on the DIY network. Together with Kelly and their three kids, the Harps own Harp Design Co., which provides quality furniture and home goods to customer all across the U.S. and abroad. Fox Homes – The Minnesota-based couple, Brad and Heather Fox, work with clients all over the Twin Cities to help them find their perfect home. In 2018, they had a pilot premiere on HGTV called “Stay or Sell” in which they helped couples decide whether to remodel their current homes or find a new one. Other highlights of the 2019 Minneapolis Home + Garden Show will include: • The Idea Home – EPS Homes will create a home within the Home + Garden Show. This year’s theme, “Building a Healthy, Happy Home. Furnishings are provided by HOM Furniture, landscaping from By The Woods, and windows by Andersen Windows. 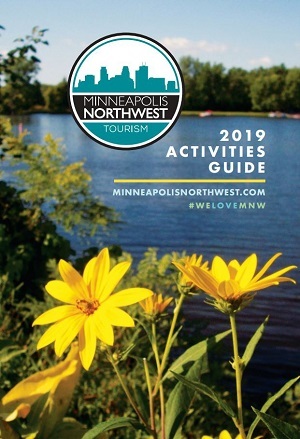 • The Feature Gardens presented by Star Tribune – Seven Minnesota landscapers will create incredible gardens using the theme of “Lakeside Gardens” as their inspiration. • Koehler & Dramm Floral Display and Workshops – Guests will be wowed by floral displays within a 1,600 square foot space showcasing on-trend flowers, colors and styles all available for purchase directly from Koehler & Dramm. Find inspiration from over 1,000 experts sharing new ideas and practical advice at the Main Stage, Garden Stage and throughout the show. Check out exhibitors sharing innovative products and services and enjoy great deals and shopping experiences related to home, gardening, remodeling and home décor. Schedule: Friday, Feb. 22 10 a.m. – 9 p.m. Friday, March 1 10 a.m. – 9 p.m. Saturday, Feb. 23 10 a.m. – 9 p.m. Saturday, March 2 10 a.m. – 9 p.m. Sunday, Feb. 24 10 a.m. – 6 p.m. Sunday, March 3 10 a.m. – 6 p.m. Tickets prices for adults are $12 online and $14 at the door; $4 for children ages six – 12; children five and under are free. To order tickets and learn the most up-to-date information, visit HomeandGardenShow.com.